BARTOLOZZI, BODEHNER, BRANT, BUCK, CHARDIN, DORIGNY, DURER, DE GHEYN II, GRIGNION, GRUNINGER, GUTCH, HOGARTH, HOUBRAKEN, HULLET, DE JODE, KUSZEL, LOYER, PEAKE, PERELLE, PRATTENT, J. SADELER, R. SADELER SILVESTRE, VAUGHAN, VERTUE & MORE. Art for Healing (AfH) is a Public Benefit Organization. It collects artworks through donation and places them in agencies dedicated to wellness & healing. A selection of AfH's inventory is offered for sale so the organization may continue its mission. 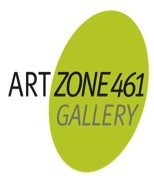 ArtZone is proud to partner with AfH and contribute to their future success. ArtZone is fortunate to show Gordon Cook (1927 – 1985) works from the artists’ son’s estate; many pieces rarely shown before. Cook was a master printmaker and painter who elevated household items to sublime elegance.